Heartland was one of my favourite book series when I was growing up and it opened my eyes to the idea of being able to work with horses without just being a groom or a rider. It shows all the different roles with horses there are as well as introducing you to different methods of handling horses. 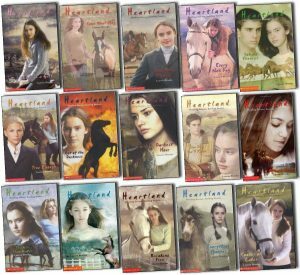 Heartland is a series of about 25 books (20 series and 5 extra special editions) written by Lauren Brooke, who I believe to be a collaboration of writers. Heartland follows the progress of teenager Amy in Virginia USA. Amy lives on her Grandpa’s farm which her mother converted to a rehab yard for horses where they can come to recover both mentally and physically from whatever may be troubling them. You can therefore guess that there will be lot of natural horsemanship and alternative methods. However, it is written in a way that doesn’t ‘bash’ equine sports. It just suggests that sometimes horses need something different or a special person to help them. Throughout the series you meet lots of different horses, with a small handful having a large role throughout the series being permanent residents at the farm. All of them have different personalities and problems, making it a great read for any horse lover and I’m sure you will find a horse which reminds you of a horse you know in one way or another. However, these books are often far from happy light reading. The lead character Amy in particular suffers a lot throughout the series in some really horrible events. Not only this but a lot of the stories with the horses and those around them are really heart wrenching. However, don’t be put off as there is always a form of happy ending, you just might be waiting for it for a while! I’m sure I have read all of these books, knowing for certain that I have the original 20 books and at least 3 of the special editions, but I’m convinced I have them all. Therefore I can highly recommend them to any horse lover, especially for a teenager. I don’t know if I would enjoy them as much if I read them for the first time now than I would when I first read them years ago. But I suggest everyone finding a copy of the very first book “Coming Home” and give it a read. I will be surprised if you don’t enjoy it. There has also been an Canadian TV series made from the books, which I also enjoy. However, it doesn’t follow the books that closely at all. There are a few new characters/characters having a much bigger role than they did in the novels and possibly some characters have disappeared altogether. They have also changed a lot of the characters back stories etc. But I still think it works as a series. If you love the books but haven’t wanted to watch the series, I think you should give it a try, just don’t expect it to be the same. A lot of the same horses are there with the same/very similar stories. They are just all a bit jumbled up in what order we see them. All the most memorable and touching parts of the novel is still there. It’s just is you can cope with Ty being a bad boy! The series is also set in Canada, rather than the USA. But really, the only difference I have found is that there is a lot more western style and cattle ranch stuff involved on a day to day level. But all the other disciplines are still there, with Ashley’s yard still specialising in the Olympic disciplines and expensive imported horses! Also, because it is newer than the book and needs to be ‘more impressive’ for TV. There is a wider variety of horsey content including the rodeo, liberty play and a good look at the racing industry. So it really works as a horse lover’s TV show! As well as being a bit of a teen drama. Over all, despite it’s differences to the book and the fact that the film/TV series is never as good as the book, I enjoyed it and binge watched a good 6 seasons of it. Also, if you can’t quite face reading 20+ books, it is definitely worth a watch! I loved these books growing up! Although, I also don’t think I would enjoy them so much if I came to them new now. I have seen the first series of the TV show and really enjoyed that too. Just trying to get the courage to buy the rest now (I am reluctant to get Netflix as I am convinced I would get sucked into a black hole of television binging!). Wow! Wish I still had that excuse! 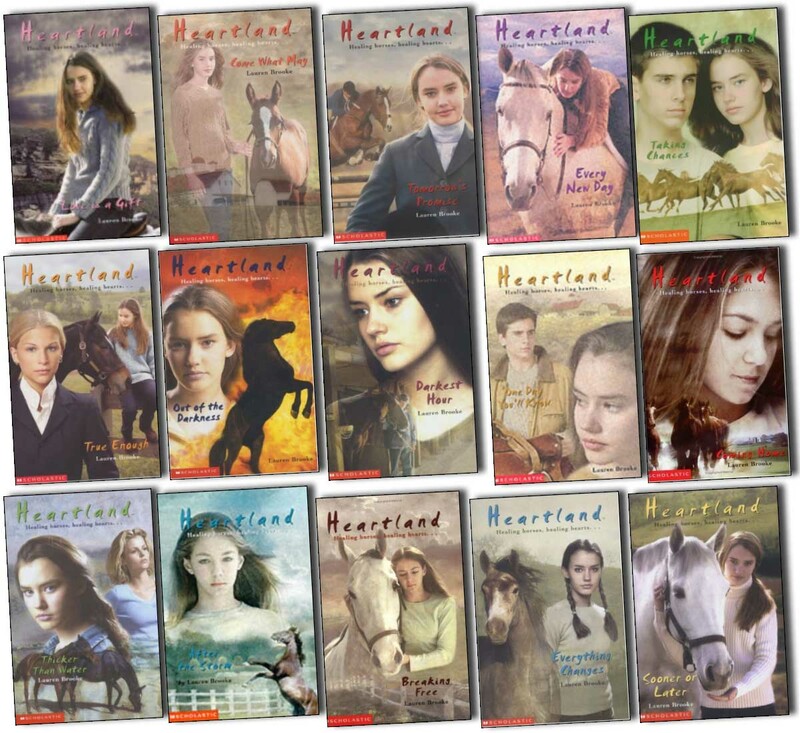 The TV series Heartland is a CANADIAN made television show not American..